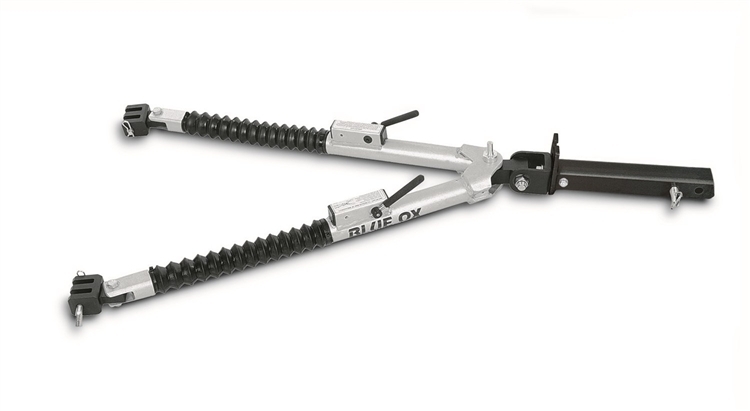 We have put together comparison charts on the most popular Tow Bars available by Blue Ox, Roadmaster & Demco. We have evaluated products from these companies and found quality, functionality & reliability to be excellent by all three manufacturers. Products are grouped into motorhome mounted - aluminum, motorhome mounted - steel 10,000lb + rated, motorhome mounted - steel under 10,000 lb rated, ball mounted with telescoping arms and ball mounted with rigid arms. These charts will give you a better understanding of the available features each Tow Bar has relative to the price of the product. Extended Leg Length 36" 36"
Extended Leg Length 36" 36" 36"